We can also adjust your policy to reflect seasonal changes to keep your rates low and your coverage steady. Let us know your needs. We also provide special benefits including customized coverages, competitive rates, discounts, exceptional claims service and much more. For many businesses, it’s cost-effective to use their personal vehicles for commercial purposes, such as transporting products, going to meetings etc. The staff at Poway General can insure your vehicle, even if you use it for personal and commercial use. These may commonly be used for personal vehicles, but if you use your SUV at all for business purposes (hauling cargo, transporting products, making deliveries, etc.) we represent companies that insure these on a commercial auto policy. In fact, many of the companies we represent will even insure dual personal and business use. Similar to SUVs and personal autos, many business owners transform their motorhome or RV into a business vehicle. Again, Poway General represents companies that cover these types of vehicles with a commercial policy. We will work with you to get the right coverage. Poway General Insurance represents Commercial insures that have coverage for hire livery, or the transportation of people, in most states. Whether you work for yourself, Uber/Lyft or an airport, we can insure your vehicle with coverage to match your particular needs. We have found that many businesses are using buses to transport clients, employees, customers, etc., or even using them as mobile advertising units. Purposes like these make buses commercial vehicles and we can insure them Get in contact with us today. These are also called flatbeds, car carriers or anything else used to tow a vehicle. Flatbeds and car carriers are very similar; however, car carriers have a hydraulic lift that tilts the bed down, whereas flatbeds stay stationary. Whether you are an owner operator, private carrier or something in between Poway General can provide the coverages you need-from state and federal filings to trailer interchange. With specialized heavy truck claims service & rental reimbursement with downtime the Poway General staff will protect you from the unexpected. Poway General represents companies that cover specialty trucking such as dump trucks for dirt, sand, and gravel hauling. Dump trucks are structured differently than most trucks. They can withstand damage from off road and construction site use however if loaded incorrectly can become a safety hazard and tip over. Call us for a free quote and allow Poway General Insurance to customize a commercial auto policy to fit your company’s specific needs. Our flexible plans cover a wide variety of industries and vehicles so that your business is always protected. Whether you are a small or large business owner whose company has one car or a fleet of vehicles, California financial responsibility law applies to a business vehicle owners and your employees that apply to you personally. 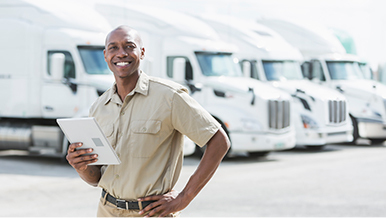 Whether your company needs to purchase a California commercial auto insurance policy is dependent in the type of driving you and your employee’s do. If you are self-employed as an artisan (plumber, electrician, carpenter, landscaper, etc.) where you use your vehicle to carry your tools and supplies to various job sites or operate a tow truck, you need to protect yourself and your business in the event of an accident during your business pursuits. Allow Poway General Insurance Agency to customize a commercial auto policy to fit your company’s specific needs. Our flexible plans cover a wide variety of industries and vehicles so that your business is always protected. Call Poway General Insurance for a free discussion and estimate of what adequate coverage will cost with one of our A.M. Best rated insurance companies. Don’t compromise yourself and your business by being without insurance or without adequate insurance coverage.